The rural villages we serve are significant contributors to the success of a project. 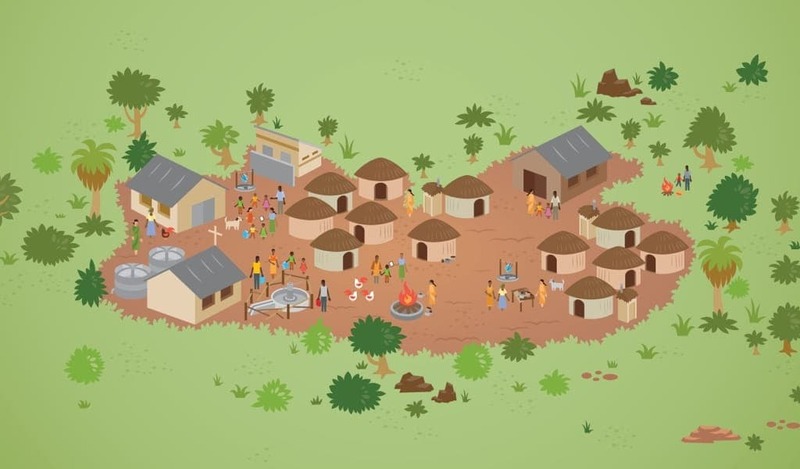 They know the pride of ownership: each village contributes 10-20% of the cost of their new water source through labor, materials, or capital. Then, a water committee made up of local leaders ensures community’s investment lasts for generations to come by monitoring use, collecting fees and managing repairs. Neighboring villages Shote and Gisho had no access roads. When they learned a road was required for Lifewater to construct a new water source, they built one with their own bare hands. Using pickaxes and shovels, they chipped away at the rocks and into the hillsides. And when the supplies arrived, they towed cement, sand, and stone to the construction site. Lifewater’s in-country staff work house-by-house, teaching healthy habits, bringing hope and transformation, and partnering with communities to provide safe water that lasts lifetimes. Read a the story of a family from a village who needs safe water and improved health. Learn their names, see their pictures, and witness their current water source. Choose which village you want to partner with time, you’ll be able to receive an update on how they’re doing following their new water source.